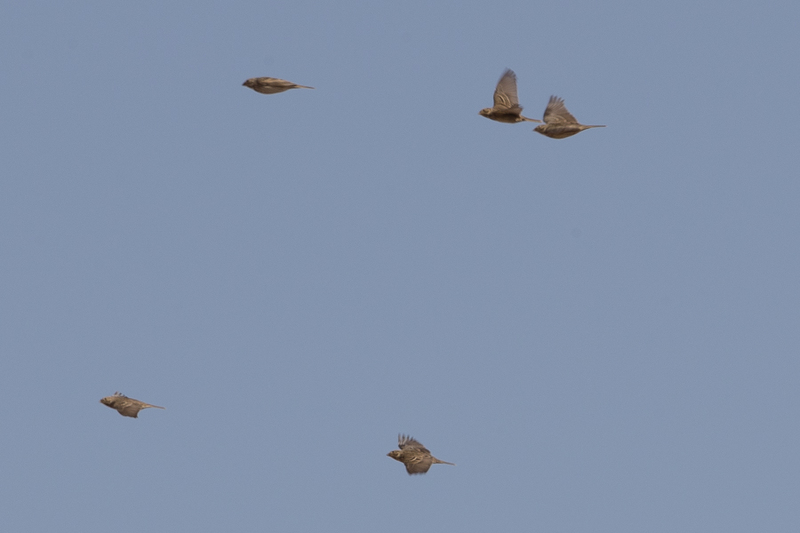 Whilst birding the Tabuk area in late January, Phil Roberts and I saw a flock of over 150 Corn Buntings in a stubble field. 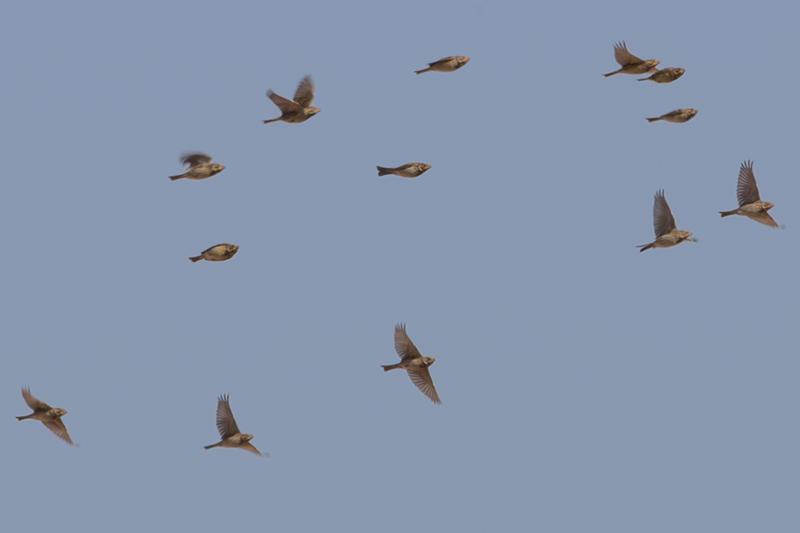 This is easily the largest flock seen in the Kingdom in recent years. 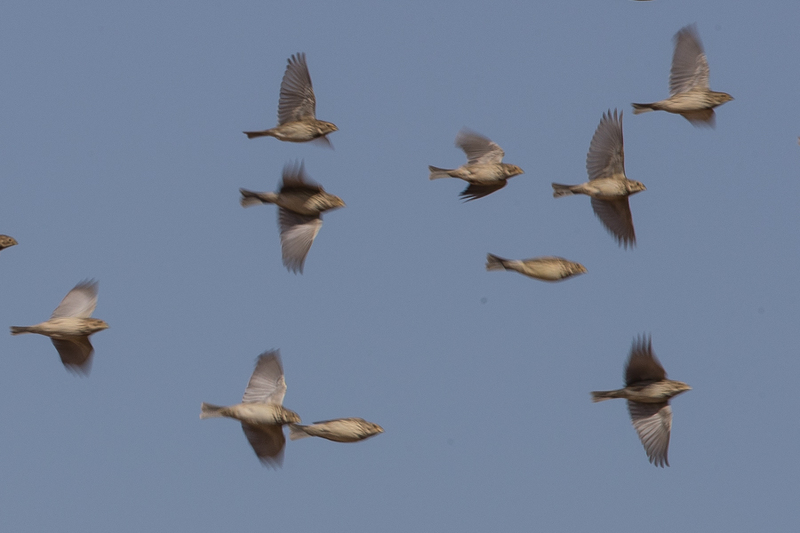 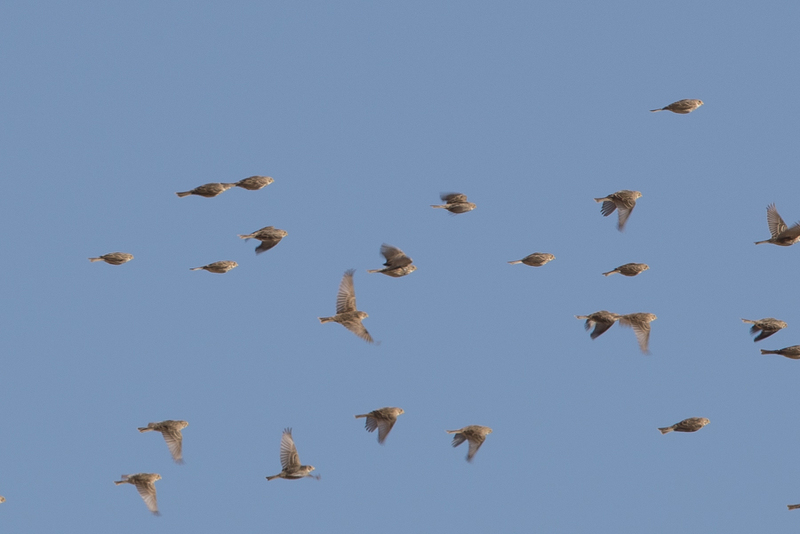 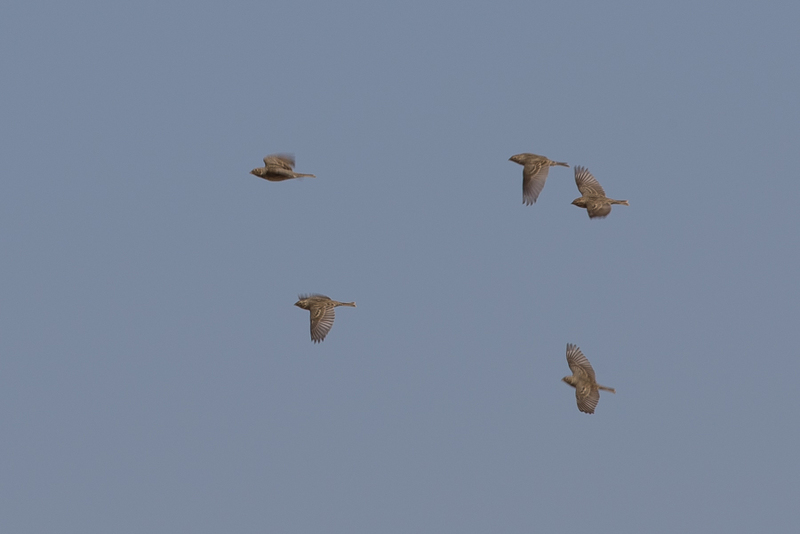 The birds were very flighty and almost impossible to see on the ground but flew around a lot. 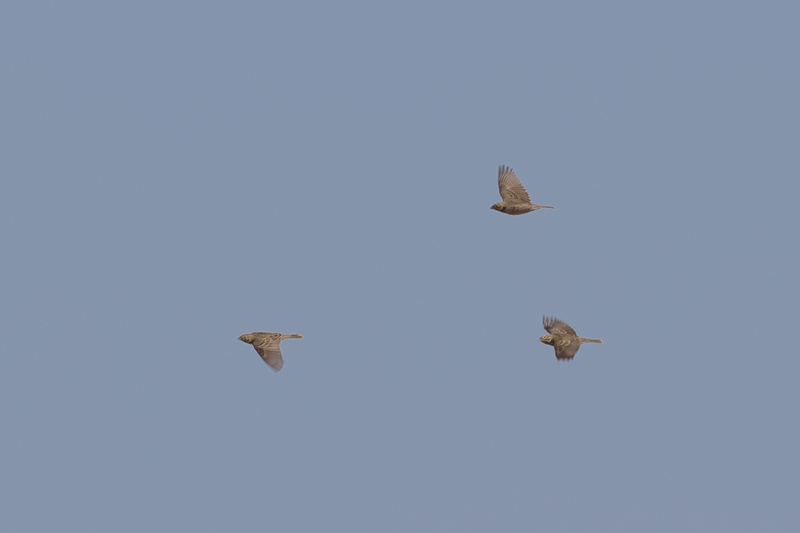 They always remained distant and identification was difficult until we looked at photos. 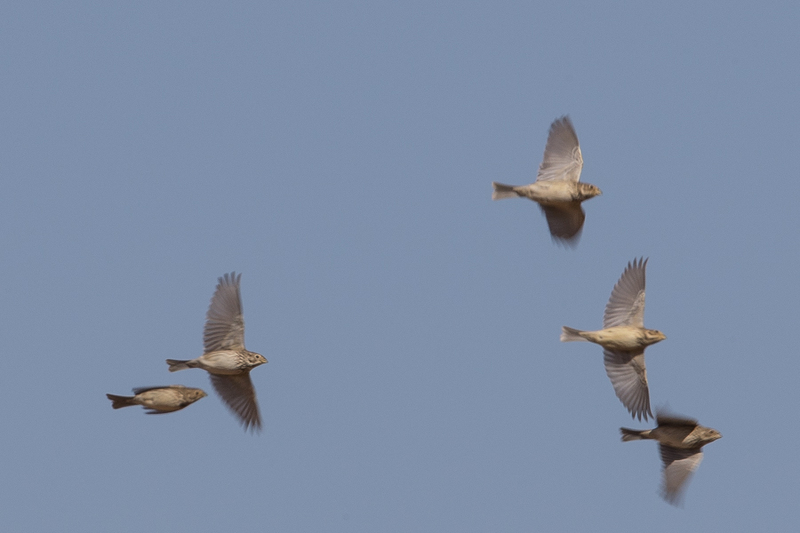 Corn Bunting is an uncommon and irregular winter visitor to the Kingdom with most records coming from the northern parts of the Kingdom.